To evidence or not to evidence? Evidence-based medicine is the use of current best research in making decisions about the care of individual patients. With the delivery of arts projects within healthcare settings, there is a debate at large as to whether it is appropriate to apply an evidence-based approach to arts interventions. Sheelagh Broderick, artist and PhD researcher and Catherine McCabe PhD, lecturer at Trinity College Dublin, School of Nursing and Midwifery present their views. Evidence is a concept that can fall into many categories; judicial evidence to establish a burden of proof, experimental evidence to verify or falsify hypotheses and statistical evidence to establish patterns. (2) It exists in relation to questions originating from a particular context and which are as a consequence already guided by inference. In the domain of healthcare, the specific context is largely one of cure or care. Therefore it is unsurprising that the questions originating within this specific domain concern cure or care and in the case of arts practices are often formulated to consider ‘the healing power of the arts’. As a consequence of the dominance of evidence-based approaches to medicine (EBM) and in tandem with a misunderstanding of the differences between arts therapies, arts recreation services and contemporary arts practices, the question of evidence has become a pressing one in relation to arts practices in healthcare settings. The deployment of EBM in relation to arts practices in healthcare settings is challenged in this essay from two different points of view. Firstly I refer briefly to both internal and external critics of EBM and secondly, I point to an internal logical incoherence when such approaches are applied to arts practices. The purpose of Evidence Based Medicine (EBM) is to identify safe, replicable and cost-effective interventions that can provide positive clinical outcomes to a target population. Policy makers and practitioners often see EBM as a ‘gift horse’ in the way that it combines science and managerial practices. (3) EBM purports to offer a transparent evaluative process. It offers the promise of objective measures to distinguish between effective interventions on the basis of resource allocation. It is easily deployed by decision makers who act on the basis of its ‘independent’ advice. It has become the dominant mode of validating knowledge in healthcare, providing a ranking schema for deciding which studies warrant greater recognition by deploying a hierarchy of evidence. Systematic reviews and randomised control trials rank highest while expert opinion is ranked lowest. Notwithstanding these critiques, the question whether arts interventions should be subjected to clinical trials depends largely on what kind of arts intervention is at stake. The clinical evaluation of arts therapies is logically consistent as they are conceived of as clinical interventions, but clinical evaluation of contemporary arts practices is to misunderstand them. Expectations of positive clinical outcomes, places an unreasonable burden on artists who are not clinically trained and imposes an unreasonable doubt on contemporary arts practices. (8) These arts practices are concerned with issues such as power and knowledge, spectatorship and participation, institutional and public spaces, technology and embodiment, through diverse artforms including digital media, sculpture, performance and painting. They are not intended as clinical interventions and present clinical researchers with substantive and ethical impediments in research design. Substantive issues relate to the necessity for trials to be replicable and to be constructed so that findings can be generalised to a given population. Arts practices are not replicable. An artist working with a specific cohort of people will not come up with the same outcomes or outputs when working with other groups. Similarly two artists working with the same group will not generate the same outcomes or outputs. Nor will an installation in one setting amount to the same thing when transported to another. Neither do arts practices give rise to generalisable outcomes. Sample sizes are too small to make generalisable claims that will stand up to subsequent scrutiny. In order to generate a statistically reliable outcome, a large sample is required as research findings are less likely to be true when the studies conducted in a field are smaller. Finally ethical issues arise in relation to the imposition of a clinical frame on an arts practice that is not concerned with clinical outcomes. That is not to say that such arts practices should pass without ethical oversight or critical reflection. The artsandhealth.ie website is an important step in creating such a critical platform. It must be populated by examples of practice that can document prevalence, and also act as a locus for an interdisciplinary critical discourse that includes discussion of validation practices. 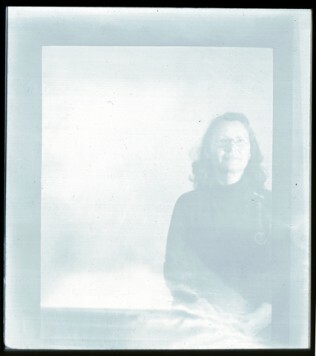 Sheelagh Broderick is a PhD Artist researcher with the Graduate Schools of Creative Arts and Media. Her research concerns arts practices in healthcare settings. (1) M. Baum, "Evidence-based art?," Journal of the Royal Society of Medicine 94, no. 6 (2001): 306. (2) Thomas J.Csoradas, "Evidence of and for what?," Anthropological Theory 4, no. 4 (December 1, 2004): 474. (3) Helen Lambert, Elisa J. Gordon, and Elizabeth A. Bogdan-Lovis, “Introduction: Gift horse or Trojan horse? Social science perspectives on evidence-based health care,” Social Science & Medicine 62, no. 11 (June 2006): 2613-2620. (4) Maya J. Goldenberg, “On evidence and evidence-based medicine: Lessons from the philosophy of science,” Social Science & Medicine 62, no. 11 (June 2006): 2621-2632. (5) K. L. Florczak, “Rigor: Lost in the Quest for Evidence-Based Practice,” Nursing Science Quarterly 24, no. 3 (July 2011): 202-205; John P. A. Ioannidis, “Why Most Published Research Findings Are False,” PLoS Med 2, no. 8 (2005): e124. (6) Goldenberg, “On evidence and evidence-based medicine,” 2622. (7) Smith & Pell, 2003, p. 1460 cited in Raymond De Vries and Trudo Lemmens, “The social and cultural shaping of medical evidence: Case studies from pharmaceutical research and obstetric science,” Social Science & Medicine 62, no. 11 (June 2006): 2694-2706. (8) Sheelagh Broderick, “Arts practices in unreasonable doubt? Reflections on understandings of arts practices in healthcare contexts,” Arts & Health: An International Journal for Research, Policy and Practice (June 2011): 1-15. (9) HansGeorg Gadamer, The Enigma of Health: The Art of Healing in a Scientific Age (Polity Press, 1996), 106. (10) Alan Blum, The Grey Zone in Health and Illness (Intellect, 2010). (11) “Editorial - ‘Artistic Thinking’,” e-flux, no. 26 (2011), http://e-flux.com/journal/view/242. (12) Jonah Lehrer, “The Truth Wears Off: Is there something wrong with the scientific method?,” The New Yorker, December 13, 2010, http://www.newyorker.com/reporting/2010/12/13/101213fa_fact_lehrer. The views expressed in this document are based on my experience in conducting a clinical trial to evaluate the effect of an art intervention in a large Dublin hospital and also my experience working as nurse. The presence of art in hospital and community health care settings is not a recent development. For many hundreds of years, portraits and sculptures have adorned the corridors and waiting rooms of hospitals and clinics. The ancient Greeks and Florence Nightingale believed that a person’s environment influences their sense of wellness and well being. The reasons for its enduring presence range from it being a benevolent gift from a grateful service user or family or its enhancement of the often very sterile, cold and functional environments associated with healthcare. However, its prevailing presence in the form of collaborative, participatory and visual art in the current healthcare setting is perhaps more to do with the belief by some key stakeholders in the value of that presence. It is thought that art in healthcare settings (visual and participatory) makes these environments more welcoming, comfortable and stimulating which in turn reduces stress, anxiety, promotes well-being and a positive mood (Staricoff et al. 2001; Schweitzer et al. 2004; Redshaw 2004). This is evident also at Government level in Ireland and many European countries where a policy exists that allows for 1% of the cost of building and maintaining a health care institution to go to art works and projects, demonstrating that the value of art in healthcare is somewhat recognised (Department of Arts, Sports & Tourism 2004). Art projects and indeed employment of Arts Officers or Directors in hospitals are generally funded through a range of sources, for example, by Arts Council grants, through hospital trusts administered by arts committees, private fundraising, charitable donations and in some circumstances directly from a hospital budget. However, regardless of how art projects are funded, they are often criticised by the public and even some health care staff for being a waste of money (Perry 2005, Sky and News 2005). The implications are that other than being ‘nice to look at’ art appears to be regarded as a luxury and is not valued by the general public as having the capacity to help people in any way. This re-enforces the need for rigorous, research-based evidence on the physical and psychological effect of art in healthcare contexts. Behrman (1997) suggests that it could be difficult to provide rigorous proof of the effects of the arts on healthcare outcomes as there are too many variables to do a trial that is statistically reliable. This remains debatable as much of the research to date is not well controlled and cannot be applied to wider populations. The absence of rigorous evaluation of the value and effect of art in health results in uncertainty in relation to its benefits, harms and value for money (Hamilton et al. 2003; Putland 2008). Scher & Senior (2000) also suggest that anecdotal and uncritical reporting of the role and value of art in health needs to become evaluative reporting and provide critical evidence of its effect and value. Evaluating the psychological, physical and emotional effect of art does not require its definition or validation by others but rather provides opportunity for discussion to take place between artists, doctors, nurses, managers and other healthcare disciplines, working collaboratively and ultimately developing a common language about art that transcends all contexts. It is based on a curiosity about how and why people respond to art and what effect this has on them and their healthcare experience. Even though art comes in many forms, it is always a subjective experience. Perhaps the role of art in healthcare is about valuing holism and recognising the uniqueness of patients as individuals regardless of their health problem and treatment. Art is regarded as integral to the social and cultural aspects of life in all communities and perhaps it should exist in all healthcare settings for the same reasons. However, it is important to recognise that although there appears to be a positive disposition towards the presence of art in healthcare contexts, it is not known if art in these contexts should differ in its conceptualisation or if it is interpreted and perceived differently by an individual who is a patient as compared with one who is attending an art gallery or viewing a sculpture in the street. There is extremely limited evidence to support the belief that art is valuable for patients (and indeed employees) in health care settings and there is even less evidence to support why and how it is valuable. This is essential information for the Chief Executive Officer of a hospital who needs to justify and explain how the budget is spent in providing a high quality service for patients. If there is evidence that shows why and how art helps patients then it strengthens and supports the argument for spending money on introducing it throughout hospitals and healthcare settings. There is a belief that it has value for patients in healthcare settings but without evidence it will always be regarded as dispensable. In the current economic climate, it is to be expected that ‘unnecessary costs’ such as art projects that are considered a ‘luxury’ by managers of health care budgets will not be a priority, therefore, funding will be cut to save money. From the perspective of a healthcare professional, evaluation of art provides an opportunity to challenge the prevailing medical model of care in favour of a holistic approach to care. Art introduces a social and cultural dimension into organisations that are, quite rightly, primarily concerned with providing effective and economical treatment for patients in a caring manner. Although health care professionals are concerned with caring for the individual needs of patients and providing a holistic service, this takes place often in cold clinical environments with little reference to the sociocultural and psychological needs of patients. Catherine McCabe PhD, Trinity College Dublin, School of Nursing and Midwifery, 24 D’Olier Street, Dublin 2. 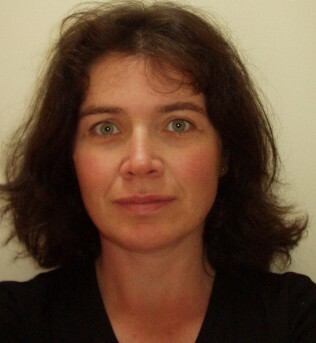 Catherine’s PhD was a clinical trial evaluating the psychological effect of 'Open Window' (an audio/visual art intervention) on patients undergoing bone marrow and stem cell transplantation for the treatment of a haematological malignancy in St James’ Hospital. Behrman, P. (1997) Art in Hospitals: why is it there and what is it for? The Lancet, 350, 584-585. Hamilton C., Hinks S., & Petticrew M. (2003). Arts forhealth: Still searching for the Holy Grail. Journal of Epidemiology and Community Health, 57(6), 401–405. Redshaw, M. (2004) Design for health: The impact of a new hospital environment on children, families and staff, The Stationery Office, Norwich. Scher, P. and Senior, P. (2000) Research and Evaluation of the Exeter Health Care Arts Project. Journal of Medical Humanities, 26, 71-78. Schweitzer, M., Gilpin, L. and Frampton, S. (2004) Healing Spaces: Elements of Environmental Design That Make an Impace on Health. Journal of Alternative and Complementary Medicine, 10, 71-83. Sky and News (2005) Hospitals Told: Stop Arting About. http://news.sky.com/skynews/Home/Sky-News-Archive/Article/200828513453756. Accessed 26th October 2005. Staricoff, R. L., Duncan, J. P., Wright, M., Loppert, S. and Scott, J. (2001) A study of the effects of the visual and performing arts in healthcare. Hospital Design, June, 25-28. I am split over this debate on the one hand any CEO of an hospital in the post CRC climate would find it very difficult to commit to funding an arts project without some sort of evidence based research, In the same way there would be no great artworks if they waited around for the research. I find the lines “We like to pretend that our experiments define the truth for us. But that’s often not the case. Just because an idea is true doesn’t mean it can be proved. And just because an idea can be proved doesn’t mean it’s true. When the experiments are done, we still have to choose what to believe” written by Jonah Lehrer put forwards a very interesting idea on the whole subject of art in health care, that art is subjective, people respond differently to the same piece of art while in medicine the response is more uniform when a common set of variables are applied. As stated above art is in the ‘grey zone’ it is proven in some cases that art can and does help within the health system which can be seen through the Helium’s work. Helium’s ethos is to ‘bring joy to children and young people in Irish hospitals and healthcare settings through art, creativity and play’ from seeing their evidence on how art can be utilized, I choose to believe that experimentations of using art within the health care system have positive outcomes and should continue to have a role within the health care.